All resources are reviewed by members of our Scientific and Medical Advisory Board, who are experts in the field from renowned organizations such as MD Anderson Cancer Center, Yale University, Stanford University and many more. Because of the philanthropy of generous friends, we are able to provide all of our resources and services to you, free of charge. To continue to offer free, comprehensive educational materials, we limit quantities of materials that can be ordered. If you run out of stock, you may order as often as needed. Below are examples of each of our available materials. You may click on the booklet images to see an excerpt from each of our booklets. To order any of these materials, please enter your requested quantities in the order form below. * Question - Required - Which of the following best describes your profession in the pancreatic cancer field? 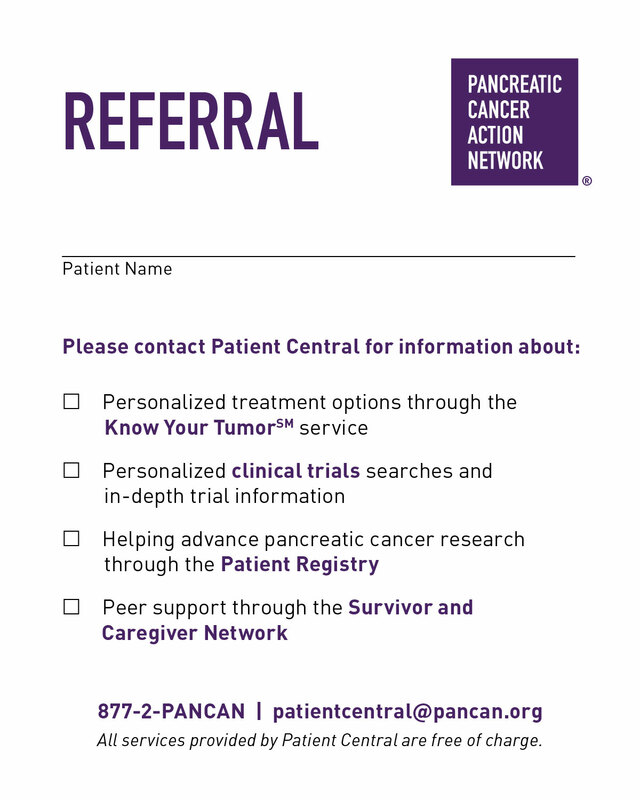 * Question - Required - How many NEW pancreatic cancer patients do you see in a month? * Question - Required - How did you first hear about us?